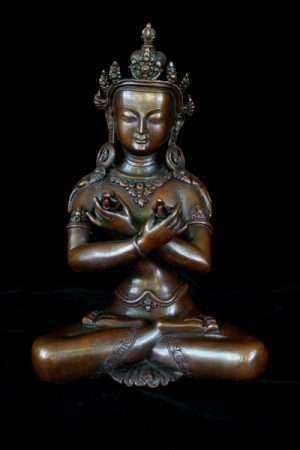 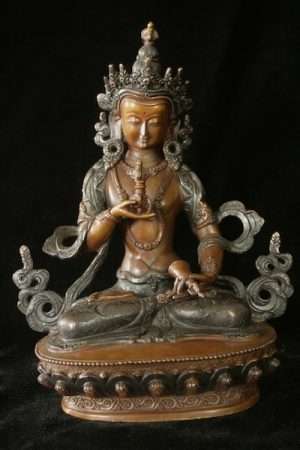 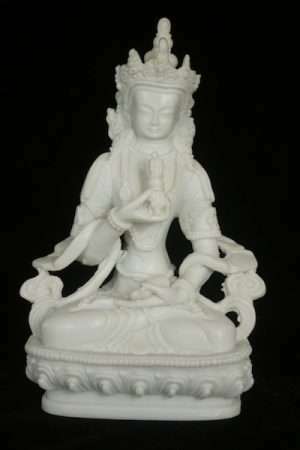 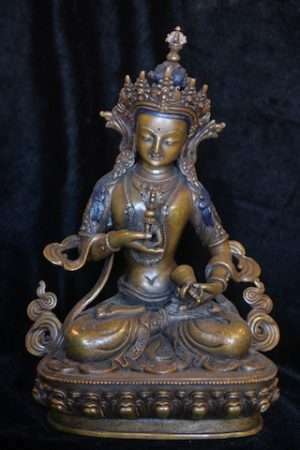 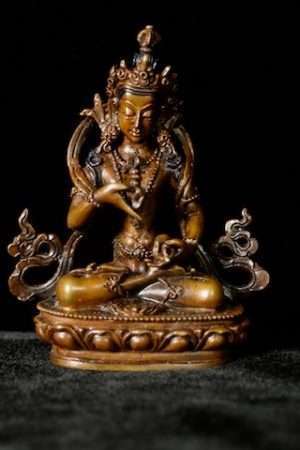 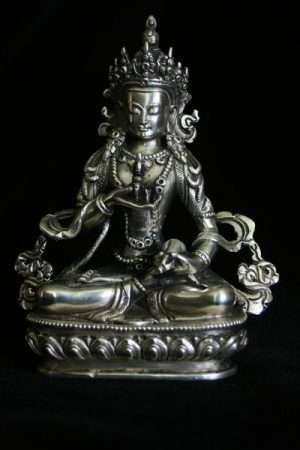 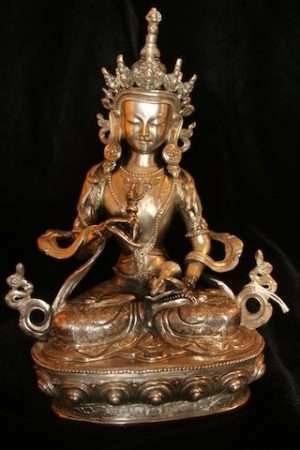 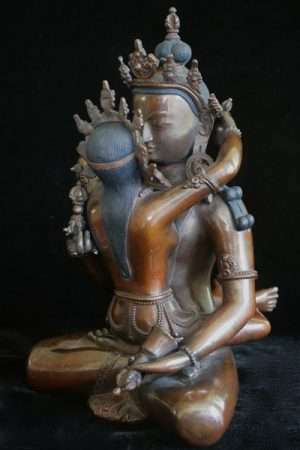 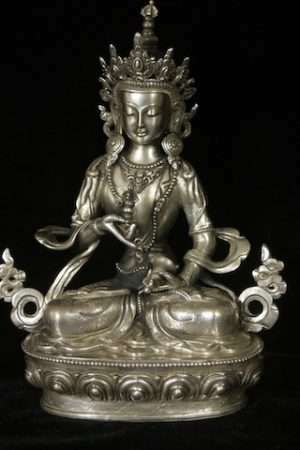 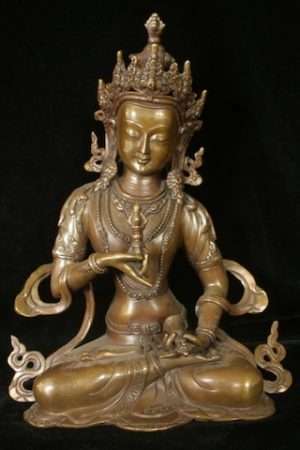 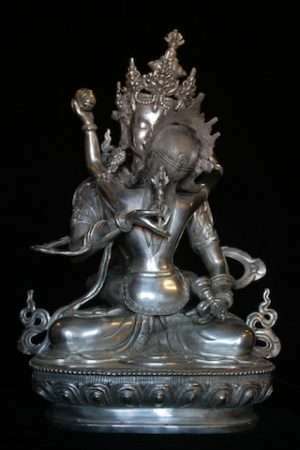 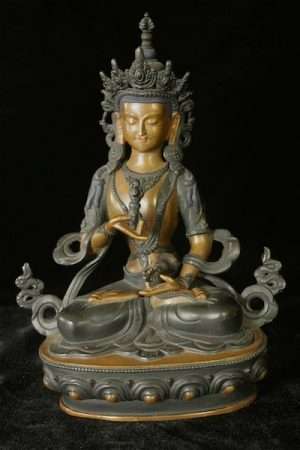 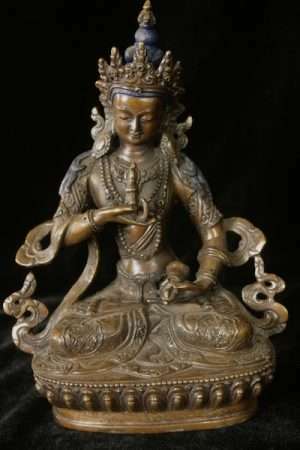 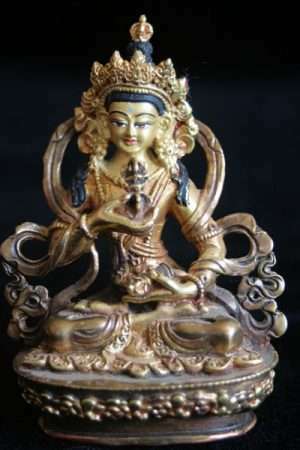 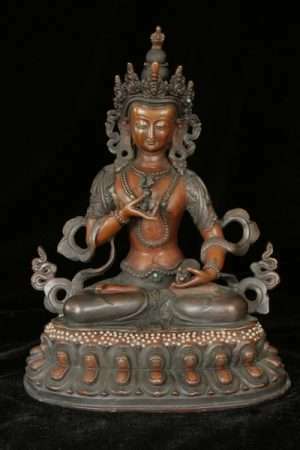 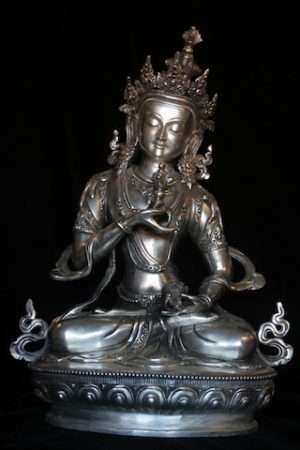 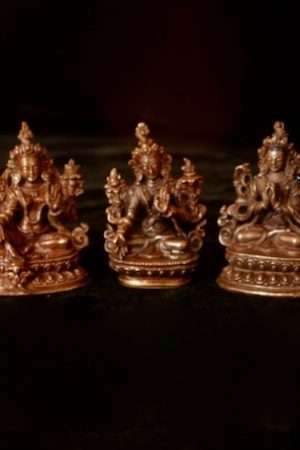 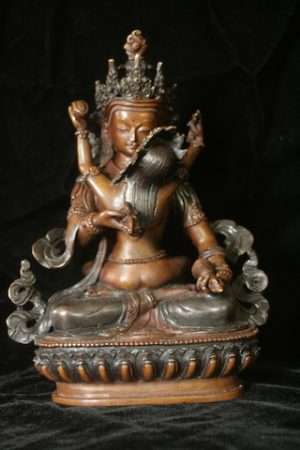 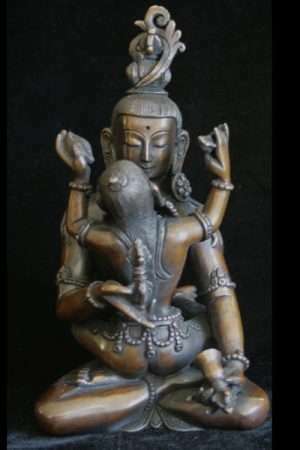 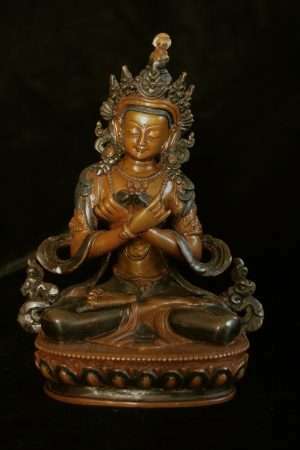 Vajrasattva statues symbolically represent Vajrasattva, the diamond being, the Primordial Buddha of purity, the diamond nature, our deepest free of stain or unskilful actions. 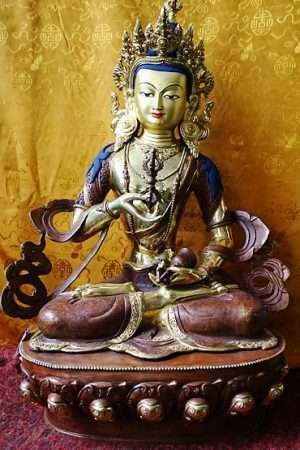 In Tibetan he is known as Dorje Sempa. 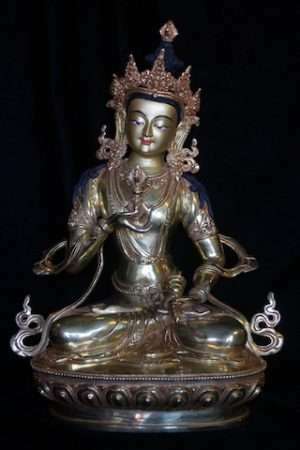 His short mantra is “om vajrasattva hum”. 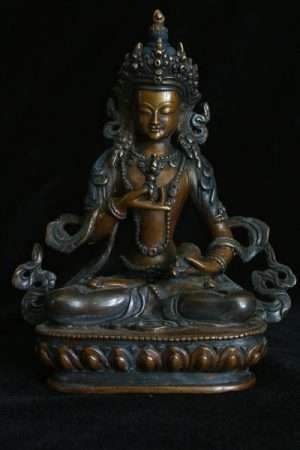 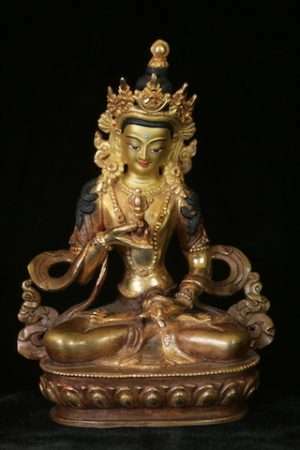 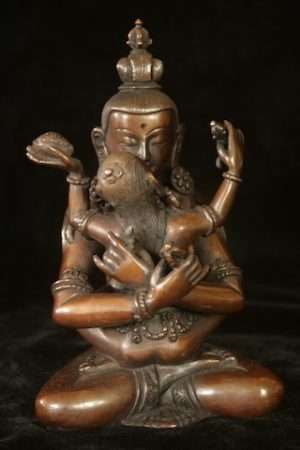 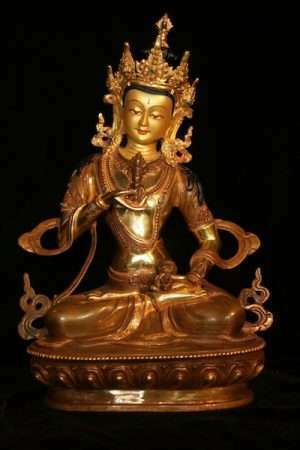 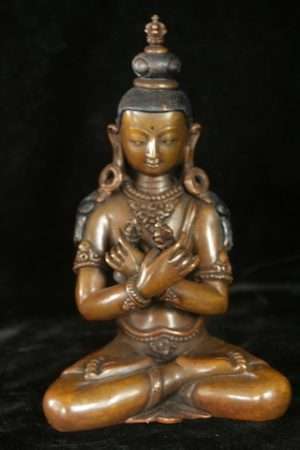 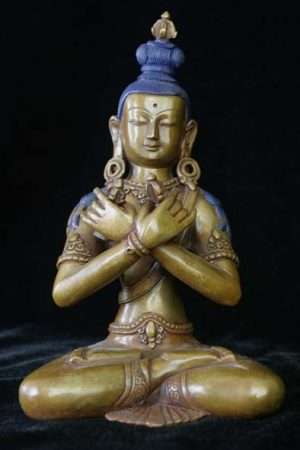 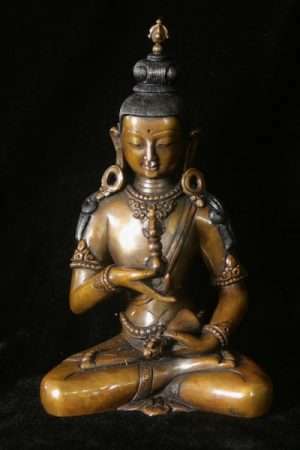 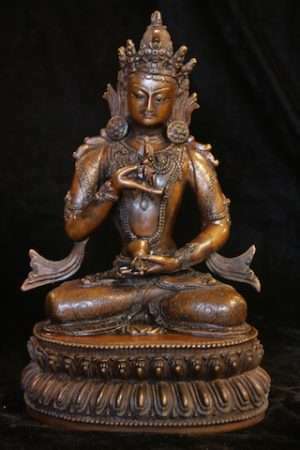 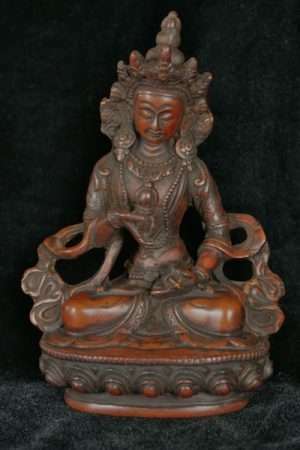 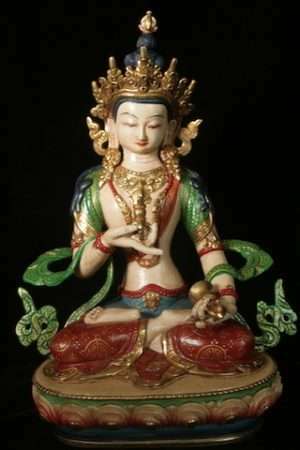 Buddha of Innate Purity Vajrasattva he holds the Vajra to his heart, the truth of emptiness and The bell in his left hand. 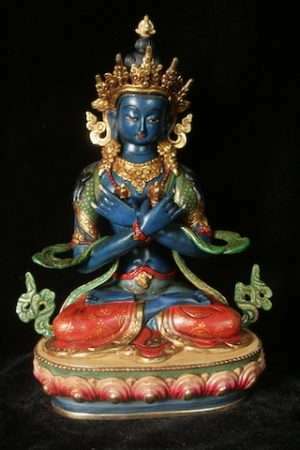 He shows us the primordial purity beyond space and time. 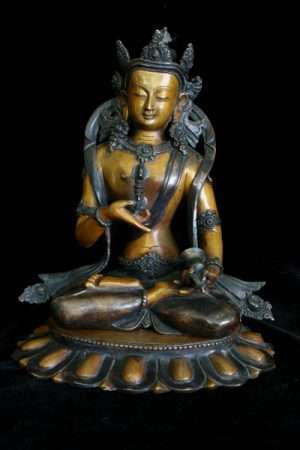 His practice is a foundation of much tantric Buddhist Practice. 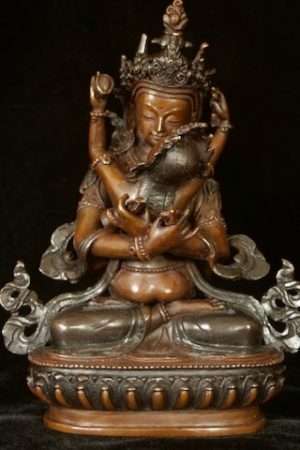 He can appear with consort and in the form of Vajradhara.